When I first started collecting Tsum Tsums last year I remember seeing all these beautiful, rare Tsum Tsums on Instagram and thinking "where is everyone getting these from?!" 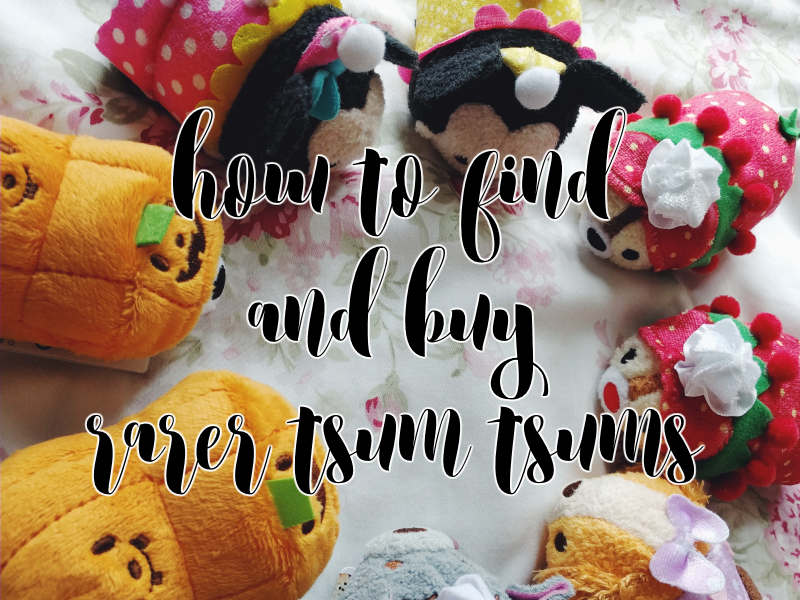 After a lot of searching I've found a few reliable places where you can buy rarer Tsums/exclusives from other countries so I thought I'd share them here today for anyone who is new to collecting! These are hands down the best places, in my opinion at least, to find any kind of Tsum Tsum! These groups are great because not only can people list Tsums for sale but you can also ask if anyone is selling a particular Tsum Tsum that you're looking for. I got my 1st Anniversary Mickey and Minnie Tsums (pictured above in their little birthday hats) through posting an 'ISO' (in search of) post on these pages. My two go-to groups for the UK are Tsum Tsum UK Collectors and Disney Tsum Tsum Community UK but if you're not from the UK then Disney Tsum Tsum - Buy, Trade, Sell is a good group for US/international collectors. This is a great way to get Tsums that are exclusive to other countries directly from someone who lives there! 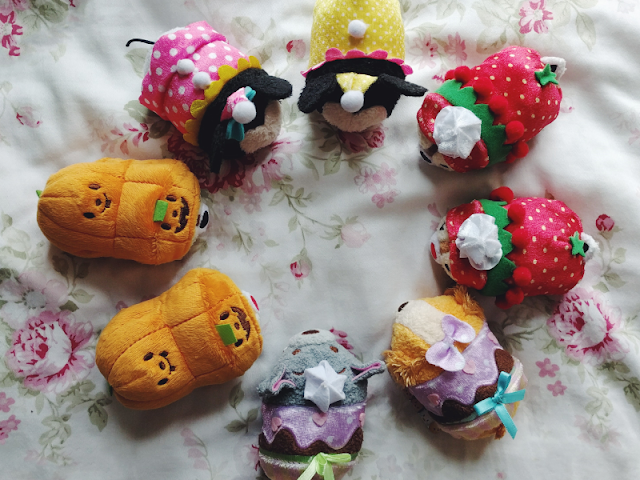 I've personally only used one individual seller, tsum_tsum_addict, who I believe is based in Hong Kong/Japan. I bought the 2nd Anniversary set plus some of the 2016 Japan Valentine's collection from him and I couldn't fault the service! I've also heard that Tsum Tsum Japan is another great seller as well. The prices vary a lot on eBay but if you can't buy through an individual seller then this might be a good way to get Tsums that are exclusives to other countries. I've managed to previously get a few of the 2015 Japan Valentine's Day collection through eBay for a lot cheaper than other places were selling them! And lastly if you're in the UK then you might want to have a look at Tsum Tsum Planet too. Their website seems to be undergoing a revamp at the moment but they usually have a good selection of Tsum Tsums from both the UK and abroad. Their prices aren't the cheapest but they're not unreasonable either. I've ordered from them a few times and the Tsums have always been in perfect condition and their customer service is always pretty good too! There we go! Hope this helps someone - I know I was completely clueless when I first started collecting! P.S. Sorry, I know I said I'd post my Tsum Tsum collection next but I haven't quite figured out how to photograph them so I don't end up crashing everyone's computers by having about 50 photos in one post! Hopefully I'll have it up soon!